While walking the exhibit hall at last month’s DJ Expo, I came across a unique item that may be the answer to some DJs upsell prayers: The OmniSistem wireless DMX uplighting system. 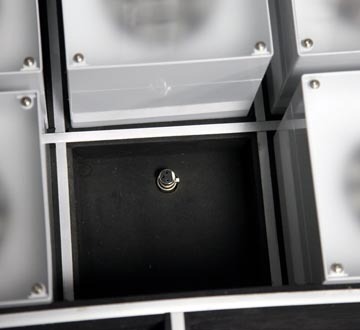 The custom roadcase is pre-wired as a charging/docking station with an external power connector. It has swivel castor wheels (two with locking mechanisms) and a canvas lid strap. 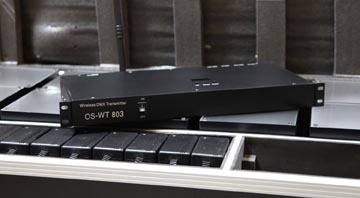 The system is controlled via a wireless DMX transmitter and requires no additional power cables or outlets. 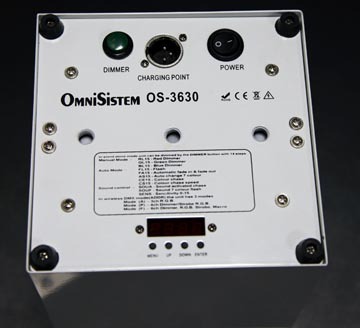 The OmniSistem wireless DMX uplighting system features individual chargers for each pod and transmits up to 400 feet. The 13 lb TRI SMD LED red, green and blue LED light cubes (RGB Color Mixing – 16.7 million colors) are a respectable 6.25” x 8.5” in diameter, have removable diffusers for larger throw applications. The lights have 5 different operating modes. 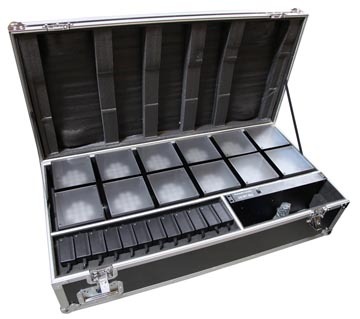 Each cube is powered by a rechargeable sealed battery very low power consumption that will hold it’s charge for up to 20 hours and is wireless DMX enabled. 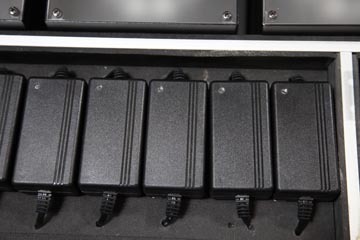 With an external PowerCon power plug port on the roadcase, there is only one power cord needed to charge 12 units. Over the past couple of years, having uplighting to sell to clients has become “all the rage” in our business. If you’ve been considering jumping on the bandwagon but are uncertain about what products to buy, consider the OmniSistem wireless DMX uplighting system solution. With it, you’ll save time setting up with no fuss, no muss messy wires to contend with. The standard price tag is $5,995 but Pro Mobile DJ fans can pick it up for a thousand dollars less – $4,995 just by mentioning this review. This is a great product and in my opinion, is well worth the investment because this system can quickly pay for itself and then start making you extra income. 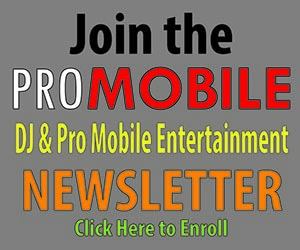 Monthly payments are available through NLFX Professional, so why not buy two OmniSistems? For more information and to purchase this product, visit NLFX Professional or call 888-660-6696.